Haworth Hodgkinson posts occasional cloudcasts. The latest one, Stirrings Still, features music by female composers, inspired by International Women's Day 2015. 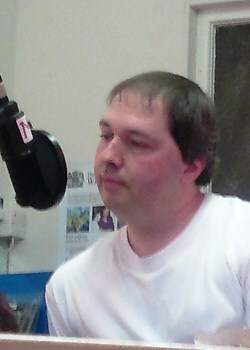 Haworth Hodgkinson was one of the regular presenters on the Literature Show on shmuFM from 2012 to 2014, interviewing local and visiting writers and reviewing and previewing events. See www.literatureshow.co.uk for more information. Each Sunday in August 2012, Haworth Hodgkinson sat in for Elaine May Smith on her Mearns FM show, having appeared previously as her guest in December 2011. Playlists and cloudcasts for these shows can be found here.